One thing I love about golf’s grand slam is how very unique each of the four tournaments are. The perfectly manicured greens at Augusta, the afternoon winds and links course set-ups at the Open Championship, and players at the peak of their game ending the season at the PGA Championship. Still, the US Open is my favorite weekend of the golf year. You get to see of one of the United States’ more beautiful golf courses re-engineered into an absolute monster. More length, harder fairways, thicker rough, faster green – you name, the US Open has it all. A perfect round is just not in the works during the US Open. It is all about which player can recover best from his mistakes and avoid putting big numbers on his card. The winners of the last two Open’s have been no where near even par. This year will be no exception. ESPN’s Bob Harig refers the conditions at the Open to be “stupid.” After its upgrade from the Buick Invitational in January, Torrey Pines will become the longest course in the history of the US Open and its par will be changed to 71 with the sixth hole being converted from a par 5 to a 515-yard par 4. The rough has significantly thickened and the greens have been firmed up. Expect this year’s Open, like year’s past, to have very little red on the leader board. If I had to bet on one group this would be it. (Yes, I know they are the top three players in the world). 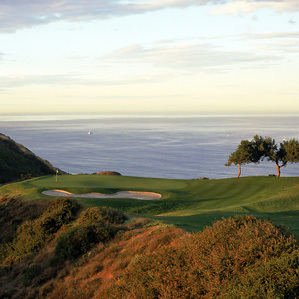 Lefty grew up in the San Diego area and played Torrey Pines during his high school days. He has played the Buick Invitational at or under par each of the last five years (going as low as -10 in 2003). 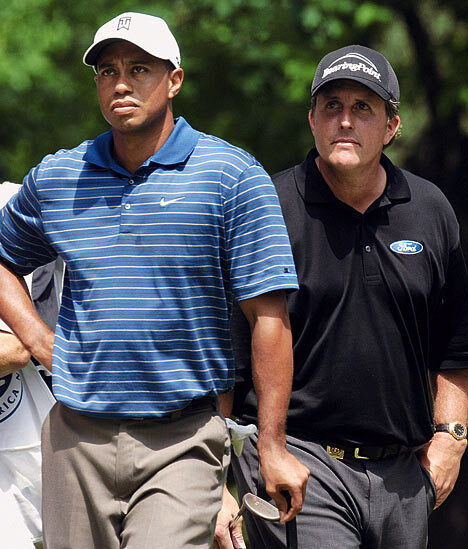 If Lefty can keep his drives in the middle of the fairway, he has a good shot. Tiger Woods is always a favorite (especially when you count him out) Woods has already won at Torrey Pines in January with a staggering score of -19. In stroke play this year, he has two wins (plus one match win) and is a combined -49 in four tournaments. If that knee can hold up (and it did in Augusta), one can’t look past Tiger’s past dominance at Torrey Pines. Look for him to win the tournament at -1. Adam Scott’s long drives (8th in 2008 driving distance) could be a clear advantage under the absurd Open conditions. Bob Harig discussed the strange anomaly of the long-hitters doing well at the US Open in recent times when you would think the tough conditions would favor an accurate player. His conclusion was that since everyone was getting screwed with the tough rough, the guy that is in the rough closer to the hole is in better shape. Scott’s ability to hit greens in regulation this year (15th on tour) suggests he has got a shot at tackling Torrey Pines. Let’s see how his finger holds up. Ok, so throw the whole long-baller out the window with Weir. Still he is playing great golf this year in competitive tournaments. Weir has been in the spotlight before and won at Augusta back when critics were saying that course was for long-ballers. It was draw, for me, between Weird and Garcia and unfortunately for Sergio, Weir’s better with the flat stick.